Geisha is a very simplistic video pokie, which has been designed and developed by Australian online casino software developers, Aristocrat. 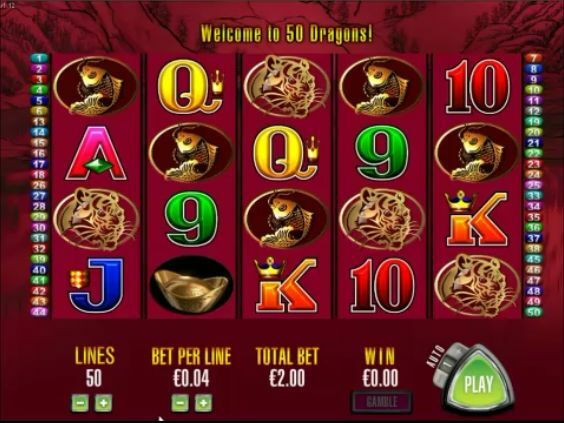 It is a very run-of-the-mill oriental themed video pokie machine, which uses high playing card icons, as well as stereotypical imagery to get its point across. Geisha is one of many similarly themed games on the net, and it isn’t that original, if we’re being honest. 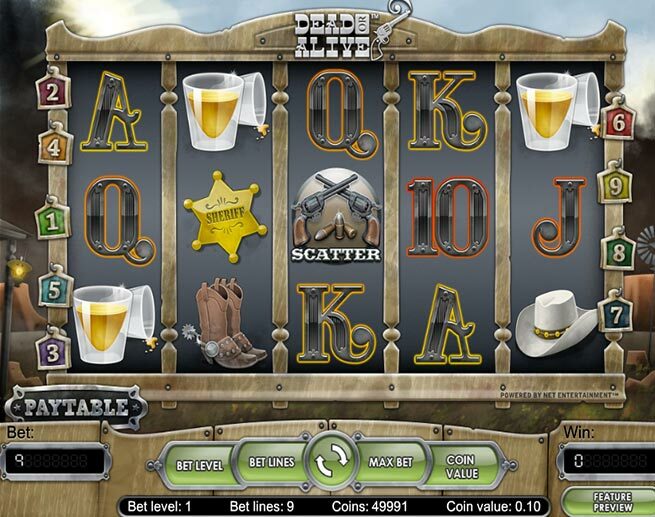 The video pokie is played over 5 reels, with a total of 25 lines available to be bet on. All 25 paylines can be adjusted as you see fit, with players also able to adjust their line bets to anything from 0.01 up to 25.00. This gives Geisha a pretty broad wagering range, with floor bets stemming from 0.01 per line, per spin, up to a ceiling bet which is capped at 625.00 per spin. That’s a fairly sizeable maximum wager for a pokie like this. 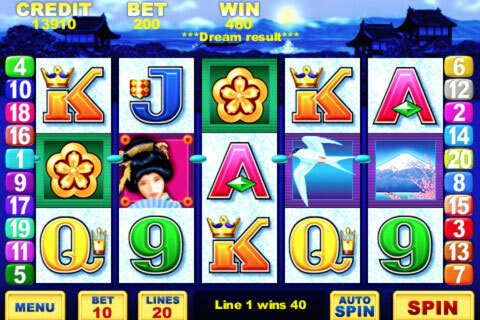 Wild symbol: The geisha girl icon is the pokie’s wild symbol, as well as being its top paying icon. As a wild, it can replace all other symbols in the game automatically, with the exception of the scatter icon. Scatter icon: The scatter is represented by a gateway symbol. When this icon appears three, four or five times in any positions on the reels, the player will pocket a free spins bonus game, as well as a multiplier prize of 2x their total bet. Free spins bonus: In the free spins bonus game, players will get to enjoy a total of 15 free games. During this free games bonus, all winnings acquired by the player will be multiplied by 3x their normal rate of pay. Players can also land additional free spins during this bonus round by landing additional scatters. Gamble feature: A small gamble feature has been included into Geisha, although it isn’t really worth a look. If you like such things, we’ll discuss it anyway. The gamble feature can be used after any win in the base game. Players can opt to gamble their wagers or collect them. Should they choose to gamble them, then they will have to pick a card (either a suit or a colour). Correctly, predicting the next cards colour or suit will double or quadruple your winnings, respectively. Guessing incorrectly will see you lose.You only have a 50% chance of success or less, so why bother, if we’re being honest. The best paying prize in Geisha is its non-progressive jackpot. Players can expect to be able to win as much as 9,000 coins. In order to do that, though, they will have to line up 5 of the geisha girl icons on any active payline. 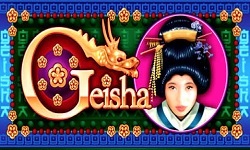 Despite not being a fairly original pokie machine game, Geisha is actually one of Aristocrat Gaming’s more popular titles. 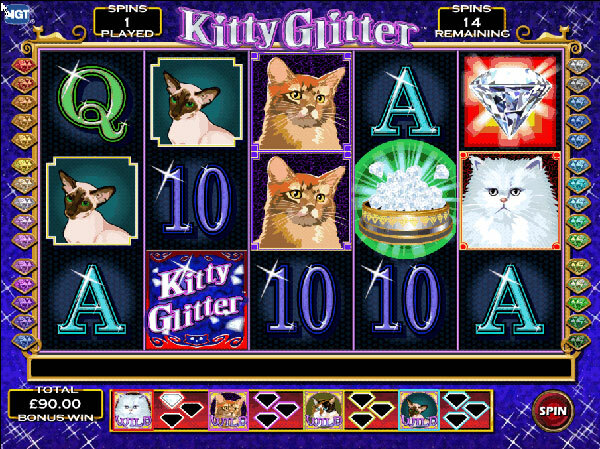 It can found in mobile, online and land-based formats, and its features will appeal to most players already familiar with video slots. It is hardly ground-breaking in what it offers, though.